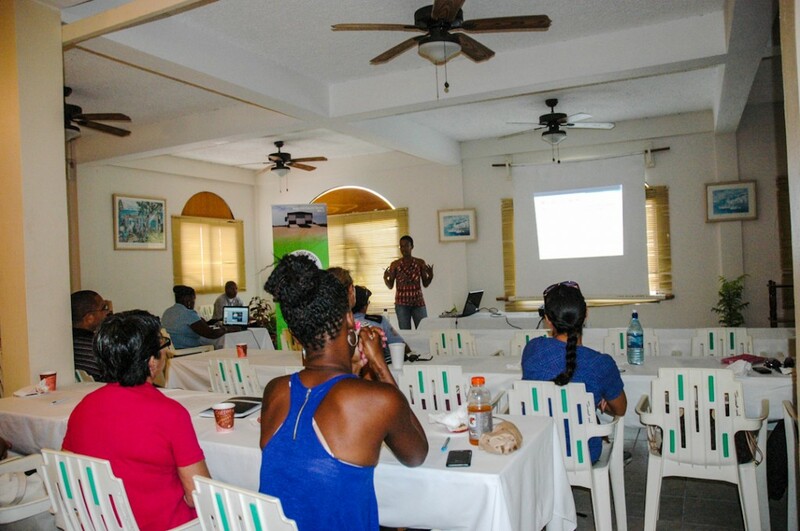 The Belize Solid Waste Management Authority (SWaMA) held a seminar on Friday, July 25th for island stakeholders and environmental Non-government Organizations (NGO) to discuss matters involving waste management in San Pedro Town. The seminar started at 9AM and saw the participation of several businesses in the hospitality industry as wells as Kenrick Brackett, Councilor in charge of solid waste management. The seminar is part of the implementation of the Solid Waste Management Project in four municipalities, including Belize City, San Ignacio and Santa Elena Town, Ambergris Caye and Caye Caulker. The project is aimed to address the country's current inadequate waste management practices by encouraging sustainable practices in the business sector to promote eco-tourism. According to Tyrone Chimilio, Social Communication Officer of SWaMA and the Solid Waste Management Project,the seminar helps in the analysis of solid waste management for the targeted municipalities. "The Solid Waste Management Project focuses in enhancing Belize's image in the eco-tourism market and promoting public health and safety. The project is being funded by the Inter-American Development Bank(IDB) and the OPEC Fund for International Development (OFID) and will ultimately improve the way garbage is disposed in the country. This will lead to a reduction in diseases caused the improper disposal of garbage, as well as help beautify the area," said Chimilio. "In order for us to carry out the project, we must first understand where each municipality stands in the Solid Waste Management Project. This seminar helps us get feedback from interested parties, as well as suggestions on how to improve the project." Chimilio explained that the Solid Waste Management Project will improve waste management practices by eliminating the burning household garbage, the illegal dumping of garbage and the use of garbage for unsanitary landfills. "Businesses have many opportunities to improve their disposal of garbage and during the seminar we gave them resourceful tips on this matter. The long term goal is to change the behavior in regards to solid waste management and to ensure that we are improving sanitation practices," said Chimilio. 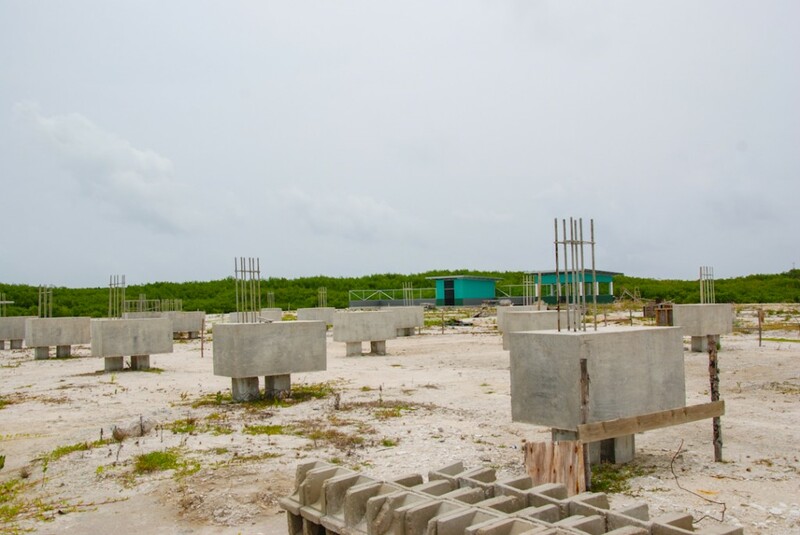 As part of the Solid Waste Management Project, a transfer station is being built on the island.There, the municipality's garbage will be manually separated for recyclables. The remaining garbage from each transfer station will then be transported to the new sanitary landfill that was built at mile 24 on the George Price Highway, while the recyclable portion is baled to recycling companies. "As the opening of the transfer station draws near, SWaMA will be conducting more educational training programs to sensitize people to the project. 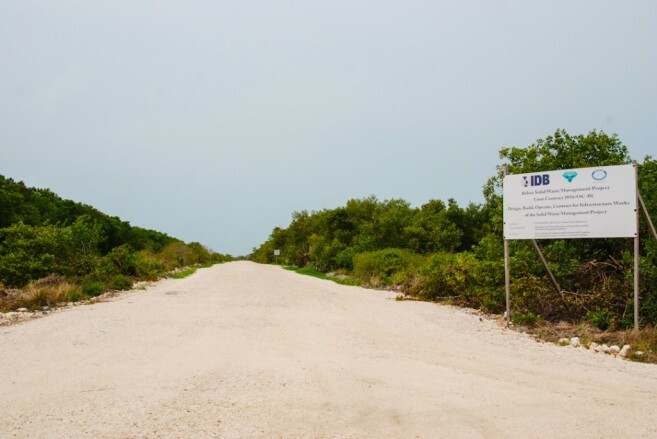 The transfer station is expected to improve solid waste management on the island and promote a cleaner, safer environment for all," said Chimilio. The San Pedro Transfer Station is scheduled to be completed by December 2014. SWaMA would like to thank the San Pedro Town Council, especially Councilor Brackett and Foreman Samuel Gonzalez, for their support for the project. 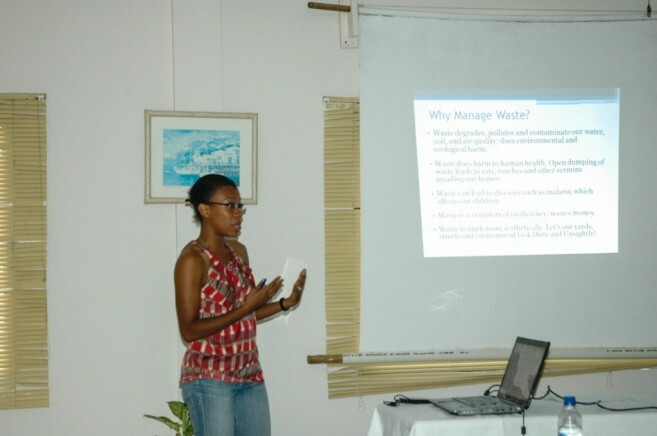 Residents are encourages to practice proper solid waste management and to Reuse, Reduce and Recycle! To learn more on the project and for updates visit www.facebook.com/BelizeSWaMA.